An ambitious new book is a thorough attempt both to tell the history of the garden city movement in Britain and to provide guidance on planning and creating such a city now. While it is extremely useful, it does largely overlook the crucial issue of food provision. Although mostly about England, the principles can be adopted anywhere. 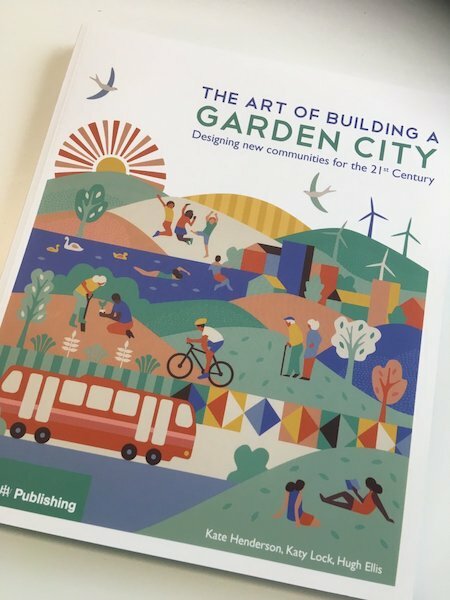 The Art of Building a Garden City: Designing new communities for the 21st Century is a new manual published by the Royal Institute of British Architecture and written by Kate Henderson, Katy Lock and Hugh Ellis, for the Town and Country Planning Asssociation (TCPA). Let’s look at its strong points first. The TCPA has long campaigned for more garden towns and villages. This book, written by three of its officials, represents this campaign. Garden cities have in recent years been championed by the British government as a sustainable means of building houses, but there has been concern that the idea has been appropriated by certain developers who would not necessarily develop the most sustainable plans. Ebenezer Howard, was a socialist reformer and the founder of the Garden City movement, and his idea was to provide “a web of solutions as to how we could live, from energy and local food to access to green space and health care”. 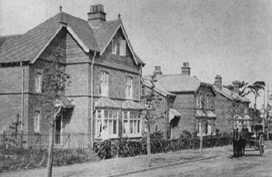 Letchworth, the first Garden City, was created in 1903, and Welwyn in 1920. They were an antidote to unhealthy, smoke-choked, sewer-less Victorian slums. Howard founded the Garden City Association, which became the Town and Country Planning Association. Finance for the cities came from rich investors who received interest from rents. He tried to get financial support from working class cooperative organisations but didn’t succeed. As a result he had to ditch his plans for a cooperative ownership scheme with no landlords, and introduce short-term rent increases. This lack of control over ownership meant that later these lovely homes in desirable places became priced out of the reach of the working class. This book, in a chapter on financing, goes some way to addressing this problem, advocating the creation of Community Land Trusts, which are able to take advantage of the rise in land value caused by the development, while being able, in principle at least, to attach conditions that mean that the homes they rent out cannot be sold later at a vast profit. 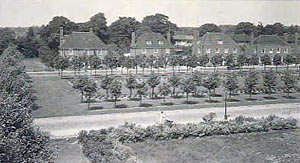 Howard, and other reformers such as George Cadbury, who created the model village of Bournville in 1893, provided gardens and allotments for each home so that residents could grow their own healthy food. This they did, for the Enclosure Acts, enacted between 1604 and 1914, had robbed the majority poor of common land for grazing and cultivation, and slums in industrial cities had no gardens. The provision of large gardens for this purpose was continued in the creation of municipal social housing after the second world war in many English cities such as Nottingham and Birmingham. Many working-class people, for the first time, had private indoor toilets, bathrooms, hot running water, electric lighting and private garden space. Their quality was much higher than social housing being built at the same time in mainland Europe. Aspley council estate in Nottingham, near to where the author grew up, showing the concentric layout around a school in the centre, large gardens and nearby woodland. When it was built, a horticulture market garden was nearby where we used to buy vegetables. The same estate now, showing how the enlightened council have put solar panels on the rooves of these houses. Until the 1940s, most homes had one outhouse each, known as “earth closets” (not water closets i.e. WCs) and so depended on the “night soil men” or “nightmen”, who would remove the human dung every day to fetilise agricultural land outside the town. It’s important to remember that up to this time most food had been grown near to the place of its consumption, around the towns and cities. This was true not just in Britain but almost everywhere. Paris, for example, was self-sufficient in food in the 19th century. In the early 1800s Paris recycled and composted all of its human and animal waste feeding and irrigating 860 hectares of market gardens around the city with heated beds and glasshouses to feed its two million inhabitants. Around 5000 workers were employed on this task, and any excess food produce was sold to London. Until just 10-15 years ago, many Chinese cities operated in a similar way. But rapid industrial expansion in Shanghai and other cities destroyed this sustainable way of life. The loss of the link between human sewage and soil fertility has only recently begun to be restored with the use of composting toilets and reed bed treatment systems, though, of course, on a wide enough scale. The Food and Agriculture Organization of the United Nations says restoring soil fertility is an urgent problem to avoid global starvation as our world’s human population soars to 11.1 billion by 2100 AD. A really novel aspect of Welwyn Garden City founded in 1920 by Howard was that its residents, via a community fund, would share in the profits of the development process, rather than just the developers. This meant that there would always be finance available to look after the town forever. Residents also shared in the governance and development process, and could join workers’ co-operatives (like a general store and a building and joinery firm) which gave them employment, and cultural, artistic and health-supporting activities. With a huge amount of effort these were made an intrinsic part of the development process so that the city would be a rewarding place to live, on all levels. Welwyn Garden City ended up quite different from Howard’s original ideal for many reasons. Nevertheless the photograph shows that the central concept still held. Now a city of over 100,000 people, it is a Garden City in form but not practice – unfortunately its agricultural belt never happened. Howard’s ideas still have great influence today. He thought that the Garden City should be socially, economically and ecologically sustainable. For example, land should be bought at low, agricultural values and all houses and factories should be leaseholds. Investors would be paid back from the rent, and any increase in land values would benefit the whole community. Extra money from the rent could then finance pension funds and community services. Although these ended up, like Hampstead Garden, another of Howard’s projects, as suburbs. After the second world war, Britain built many new towns such as Stevenage and Milton Keynes. These incorporated some ideas from the garden cities but were more ambitious and paid for with public money as part of the post-war rebuilding of Britain. Often, they were networks of connected villages or neighbourhood units, sometimes constructed around schools like Aspley above, separating pedestrians from cars, and designed to be relatively self-contained (at least as far as living nd working went) to minimise commuting. The land was selected by the local authorities concerned. Unfortunately the projects were never properly seen through, because, in the 1980s, the Thatcher government ordered the selling off of the land and properties (along with council house tenants being given the right to buy) at market value. This ruined the original concept, since private ownership saw prices rocket, and with this the social aspect of the towns largely disappeared. In 1998, ecovillages were officially named among the United Nations’ top 100 listing of Best Practices, as excellent models of sustainable living. The best known ecovillage in the UK is probably Findhorn in Scotland. Founded in 1962, since 1980 the Findhorn Foundation has been involved in the development of the Ecovillage Project as a natural continuation of its work with nature. There is now a global ecovillage network. 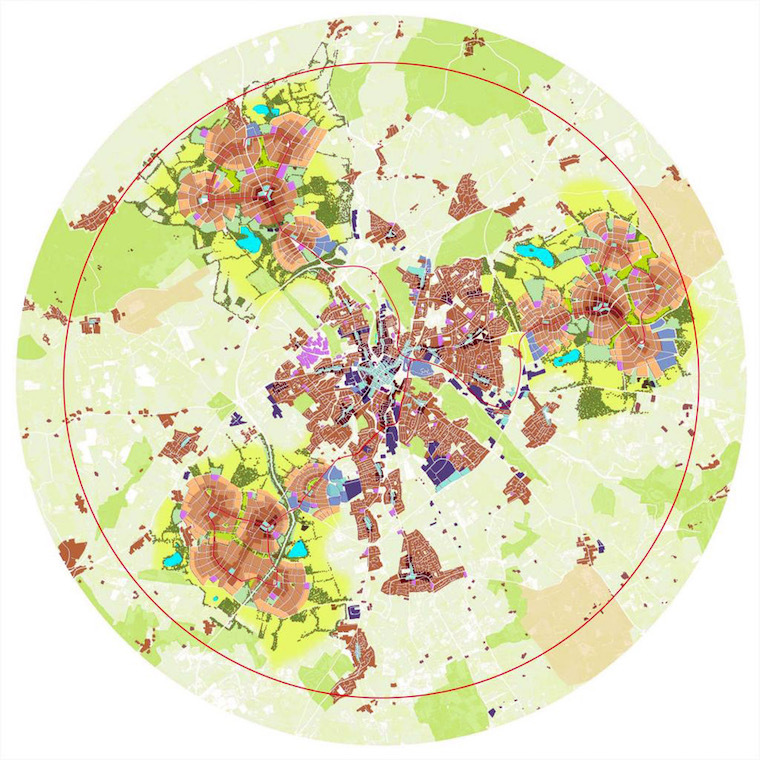 Fast forward to 2007, and the UK government proposed a series of eco-towns. Unlike eco-villages these were top-down, not bottom-up proposals. Although many failed to materialise (mainly because lessons 3 and 6 above were not heeded), they did result in a set of eco-town standards and some developments such as Bicester, Whitehill and Borden. The standards included that they should be: zero carbon, resilient to climate change, 30 per cent of homes should be affordable, have low carbon transport with local jobs, that 40 per cent of the land should be greenspace and increase biodiversity, including: “particular attention should be given to land to allow the local production of food from community, allotment and/or commercial gardens”. They should also be water-efficient and flood-resistant and manage their waste efficiently. Finally, they should “develop their master plan” with “a high level of engagement and consultation with prospective and neighbouring communities”. The Conservative government scrapped these standards in 2010. The principles adopted for modern garden cities, as explained in this book, are similar and build on what has gone before, but the food and water supply and treatment elements appear to be lacking the emphasis they are due. They do stipulate that communities should be “energy negative”, that is generating more renewable energy than they use, for export as a source of revenue. Homes, such as those in Bicester garden city, which will eventually support 13,000 dwellings, should be zero carbon. They use a combination of onsite generation, district heating using combined heat and power, and sustainable transport, all of which generates jobs. However the principles do not stipulate that all buildings (for example for businesses) follow this standard. These are far more stringent, and, while difficult to obtain, more in proportion to the level of impact necessary for human habitation to be sustainable in accordance with what the science tells us. While so far these one planet developments have been in the open countryside, the planning guidance makes clear that they could happen in or on the edge of existing towns and cities, and one such is currently being planned in Carmarthenshire. One planet developments typically use agro-ecological cultivation and agro-forestry to provide much of the land-based businesses, supplying local communities with their produce and services. This automatically improves biodiversity, soil condition and sequesters carbon in the soil. Net carbon sequestration could be a vital function of garden cities, if this were adopted as a principle. In 2014 a plan to give garden city status to up to 40 English towns won the £250,000 ($410,000) Wolfson Economics Prize. Winner David Rudlin imagined a fictional town called Uxcester, and applied that concept to Oxford (2011 population: 150,000). His aim was to help solve Britain’s a chronic housing crisis. Government figures suggest 221,000 new homes are needed every year in England and Wales. The Wolfson Economics Prize conducted a poll of 6166 people on attitudes to garden cities in May 2014. It found that there was widespread support for garden cities amongst the public as a way of solving the housing crisis. He argued that all towns should be permitted to bid for garden city status and should not have expansion imposed upon them, and called on the next government to introduce a Garden Cities Act under which towns and cities could bid for garden city status. So far this has not happened. Expansion, he said, would take the form of town extensions connected to the city centre by a tram or bus rapid transit (similar to that operating in Cambridge), with each extension consisting of green, walkable neighbourhoods with primary schools, business uses, and local shops, drawing on modern Scandinavian, Dutch and German models. His financial model shows how a modern tram scheme could be delivered to serve the new garden city, of the sort that most other European cities of the size of Uxcester would feel entitled to. The financial model shows that for every plot developed, the same area again could be allocated for parks and gardens which are publicly accessible to the whole community rather than kept in private hands. 20% of new homes would be affordable housing. The overwhelming majority of Green Belt land (if the town has a Green Belt) would be protected and enhanced. Several garden towns are now in development. In 2016 Oxfordshire Council proposed a garden village extension to Eynsham, which has received initial government backing. It adopted some of Rudkin’s ideas, plus the idea that it could generate much of its energy from solar power and that half of its homes be affordable. 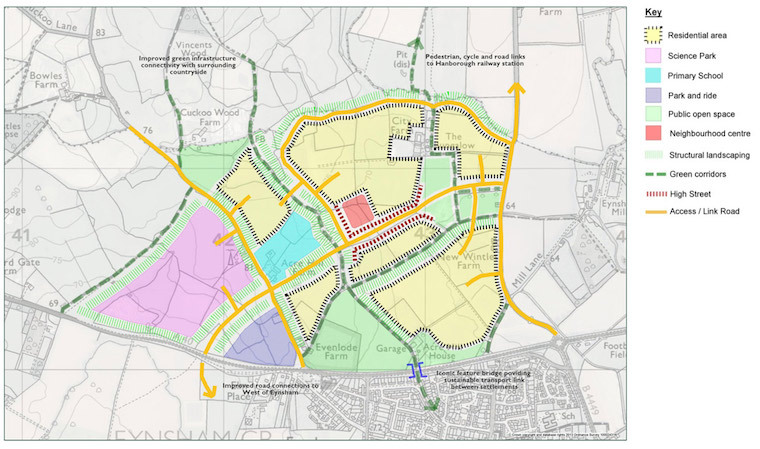 In the south east of England, Braintree, District Council, Colchester Borough Council, Tendring District Council and Essex County Councils have all agreed to work together to create three new Garden Communities of 30-40,000 new homes alongside significant new infrastructure, jobs and associated facilities. These will be based on the ethos of Garden Cities promoted by the Town and Country Planning Association. 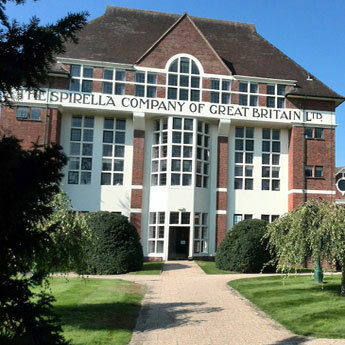 An overarching wholly Council owned body, North Essex Garden Communities Limited, which will coordinate the development of the sites and the strategic approach to growth, funding and infrastructure delivery. NEGC will establish further companies (Local Delivery Vehicles )for each proposed Garden Community, working with landowners and local communities to bring forward schemes that truly deliver on garden city principles. Caapacity funding has come from central government. The councils have also agreed to provide funding of up to £460m ($756m) to “pay for delivery of infrastructure in a more timely and co-ordinated way than could be achieved via traditional development models”. Specific sites and boundaries have not yet been determined but will be refined through the Local Plan decision-making process. However already, transport plans are being drawn up with an aim that 24 per cent of trips will be through active means (walking, cycling), with 38 per cent by bus rapid transit and the same proportion by private vehicle. Bournville Village Trust at Lightmoor is another modern urban village being developed in Telford, were the induustrial revolution began. The Village is a joint venture between housing association Bournville Village Trust and the Homes and Communities Agency. It will eventually comprise around 1000 homes, a primary school, community centre, health centre, nursery and shops; as well as parks and numerous green open spaces. BVT provides services to 8000 homes of mixed tenure and 25,000 people. The Trust also manages agricultural estates totalling around Bournville Rest House 2500 acres, so is able to provide food for the village. It uses a system of covenants to preserve its stewardship, which include a maintenance charge charge. Charmingly, the management committee plants a tree in the community orchard every time a child is born in the village – an idea first thought of by George Cadbury. In the absence of public finance for a garden city, it is still possible to use Howard’s model today. A study by Wei Yang and Partners and Peter Freema for the Wolfson Economics Prize showed that over 15 years the sale of some land acquired at near agricultural land prices for private housing in the garden village could permit the provision of land for 30 per cent affordable housing plus parks, leisure, transport networks, utilities and school and other community facilities, at no cost. Overall, The Art of Building a Garden City is a very good contribution to the growing body of literature about how to provide properly sustainable human habitation. It does seem to me, though, that it makes the same mistake as central and local government in leaving the provision of food to the private sector and thereby to chance. Garden cities should be about gardens, and gardens are traditionally about food provision as well as beauty and leisure. Given that the food industry results in so much waste food, and intensive food production, sold in supermarkets, has a massive environmental footprint (for example destroying rainforest to grow grain and soya animal feed), as well documented in the FAO report The Future of Food and Agriculture, this cannot be enough. Anyone wishing to tackle this aspect of the impact of human settlements through the planning regime would do well to adapt the One Planet Development principles and to read last month’s set of recommendations published in What Makes Urban Food Policy Happen from the International Panel of Experts on Sustainable Food Systems. Anyone wishing to actually grow food in or near towns and cities should look for advice on running a small scale horticulture business in this month’s A Matter Of Scale, by Rebecca Laughton of the Landworkers’ Alliance, and for indoor farming advice in the publications of the Vertical Farming Institute. Together these represent two very different approaches to feeding urban areas. David Thorpe is the author of The One Planet Life, a Blueprint for Low Impact Living. See his website here.